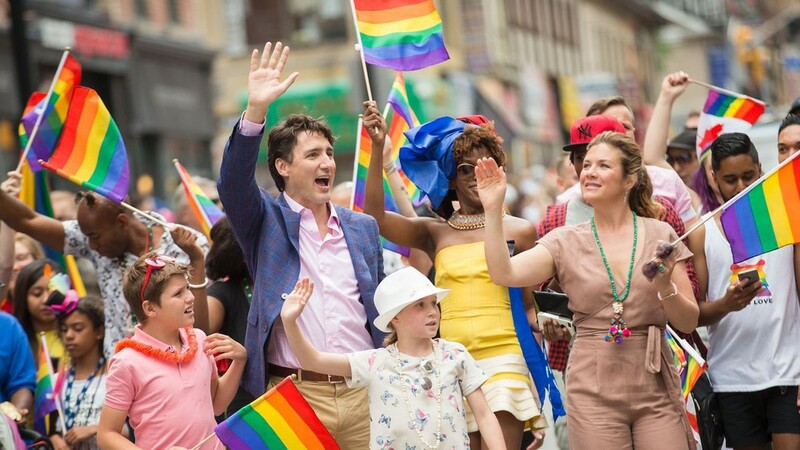 Unlike, US President, Donald Trump, who has not recognized June as Pride Month, Canada’s Prime Minister, Justin Trudeau, celebrated June 26 at Toronto Pride. Trudeau shared photos from the celebration on his Twitter account. “Love is love. #PrideTO,” Trudeau tweeted. Trudeau’s tweet was liked over 60,000 times and shared over 22,000. Trudeau also sported a maple leaf Pride tattoo on his cheek, and a pair of Ramadan-themed socks as he marched in the parade. Long live Prime Minister Trudeau!